Pursuit. Plays in your core. 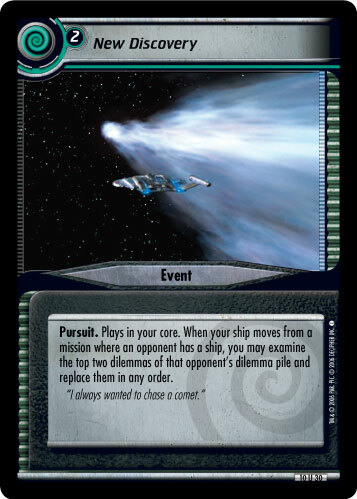 When your opponent moves from a mission where you have a staffed ship, you may take a dilemma from beneath that mission and return it to its owner's dilemma pile. 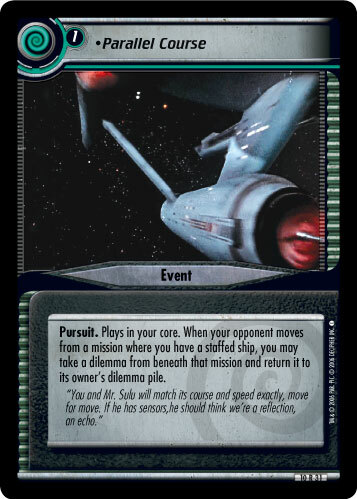 "You and Mr. Sulu will match its course and speed exactly, move for move. If he has sensors, he should think we're a reflection, an echo." 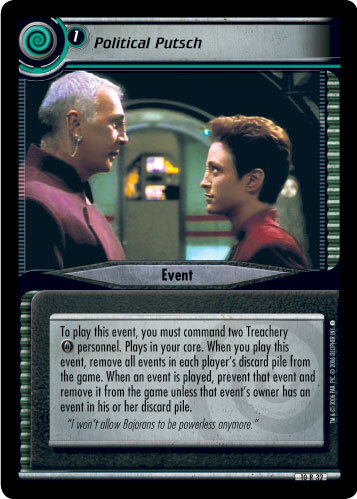 Image Source: The Original Series: "Balance of Terror"